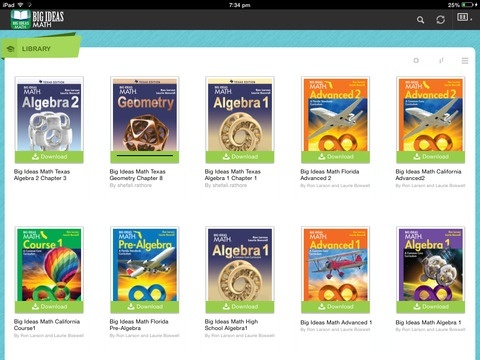 The Big Ideas Math Dynamic eBook App is a complete electronic version of the Big Ideas Math Student Edition that is compatible with iOS, Android, Mac, and PC. The app allows you to navigate through the book, highlight important information, and add notes or bookmarks. 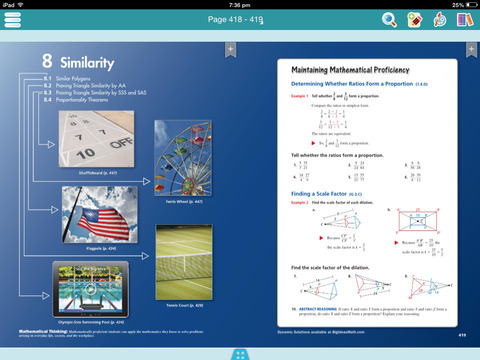 Each eBook contains the full Student Edition of the text, Dynamic Investigations that tie directly to Big Ideas Math content, and point-of-use links to additional resources and remediation, such as Student Journal PDFs, Lesson Tutorial Videos, and the Skills Review Handbook. 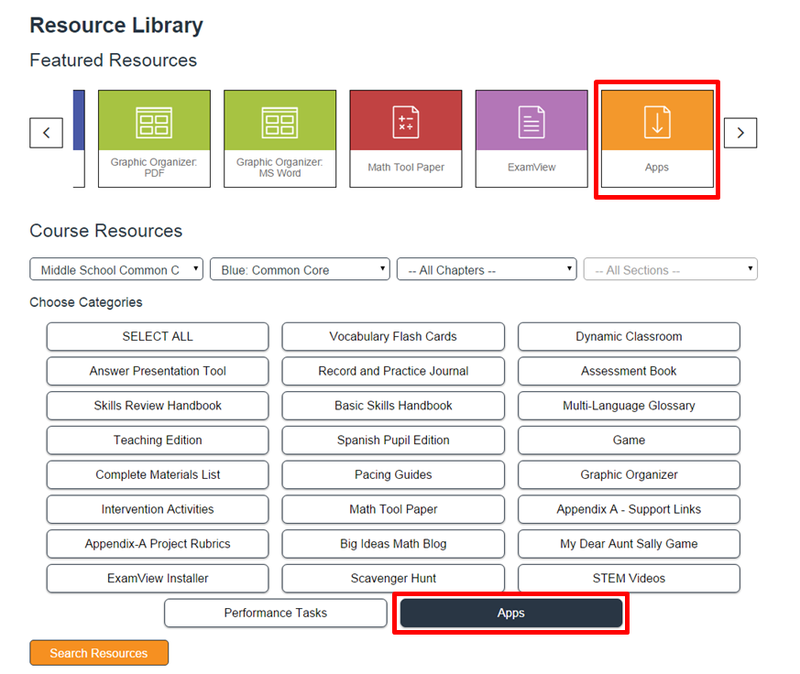 On the teacher or student Resources page, locate the Apps icon. You can choose to download the eBook app from an app store or download the eBook app to your PC or Mac. Posted in News, Technology Updates	| Tagged eBook, eBook App	| Be the first to comment!